As Reception Flamingos are making such good progress with their phonics in class we thought now would be the perfect time to begin sending home some of the high frequency and CVC (consonant, vowel, consonant) words we are learning and using so that the children can share them with you. We will send home a list of the words we have learnt along with a word caterpillar. Once your child is able to read and write each word independently please tick them off on the caterpillar. When your child has completed a whole caterpillar please return it to school so we can share in your child’s success. 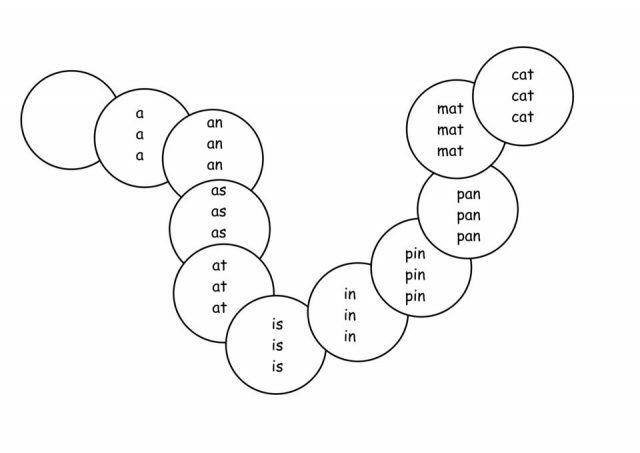 Each time we have a new bank of words the children have learned we will send home a new list with a new caterpillar. Please do not worry if your child brings home a new caterpillar before they have completed the previous one, the most important thing is that the children get the opportunity to share their learning with you.